We look at Bollywood's half-yearly report card. Fortunately for Bollywood, the first half of 2014 did not see any major disasters. None of the high profile films failed to bring in moolah while quite a few inconsequential films, which had flop written all over them, couldn't even register a good release for themselves (and hence they don't get featured here). After looking at Bollywood's hits so far, we take a look at the 10 biggest flops of the year so far, films that came riding on big budgets and massive buzz but turned out to be damp squibs at the box office. With Abhay Deol helming this one as a producer, One By Two was expected to be fresh in content and a box office success story. Unfortunately, the film suffered because of Deol's stand against music company T-series, due to which it did not get a proper music release and promotion. The film's release barely got noticed. Salman's mere association with a film is expected to bring in the big bucks. However, that didn't quite work out in the case of O Teri. This mangled mess of Jaane Bhi Do Yaaron-inspired film was disappointing for lead actor Pulkit Samrat too. Audiences rejected Subhash Ghai's Kaanchi in its opening weekend itself. The film had been ripped apart by most critics as well. Despite decent promotion and presence of veterans like Rishi Kapoor and Mithun Chakraborty, Kaanchi couldn't generate any interest. Mr Joe B Carvalho opened to near-empty theatres. With Arshad Warsi as the leading man, the film was expected to be a decent entertainer, especially since he is famous for his impeccable comic outing. He did well too but then the film as a whole didn't quite cut it. This is one of the most unfortunate flops of the year. The promos, pre-release feedback, reviews and the word of mouth were terrific. Unfortunately, Filmistaan released on the same day as Akshay Kumar's biggie Holiday, and that went against it. Many years in the making, Dishkiyaoon came as a comeback vehicle for actor Harman Baweja. While it was marred in controversies, it eventually found its way to theatres. However, the audience wasn't as enthusiastic about its release as producer Shilpa Shetty, as a result of which there were no takers. Even Sunny Deol's presence didn't work. With a release delayed by almost a year, this Indo-Pak love story proved to be a yawn-inducing affair. Despite two very good looking people in the lead -- Ali Zafar and Yami Gautam -- Total Siyapaa just couldn't entice the audience enough. 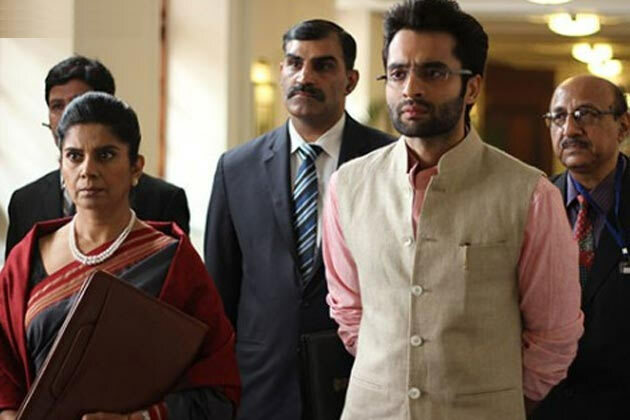 Youngistaan marked Jackky Bhagnani's first serious role and wasn't half as bad. Releasing while the Lok Sabha elections were underway, the film's subject was topical and a few songs worked their way up the charts too. But the audience gave it a cold shoulder anyway. How fortunes change every Friday! While Kangna Ranaut garnered a lot of praise for Queen, her follow-up film Revolver Rani was panned. The film received mixed response from the audience as well as critics. A little bit of more energy, effervescence, a few genuinely comic moments and Bewakoofiyaan could been a well-made romantic comedy. However, the overall product didn't fetch desired results. Daily Game: Guess who this stunner is! What self help books would Shah Rukh, Anil Kapoor, Salman read?